Digital companies have imperial views of how their business is run. They realize data is no longer for back-end offices. It is how customers experience today’s products and services. 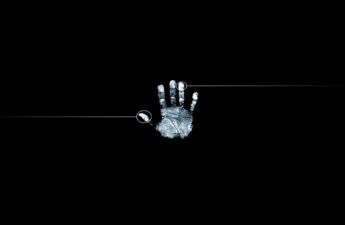 Initiatives around data and analytics are fast becoming a priority in the boardroom and as necessary means to achieve desired outcomes. Data from traditional sources such as transactional systems combined with data from emerging technologies such as Machine Learning provide us both the capability to quickly and appropriately respond to today’s fast-pace business environments. 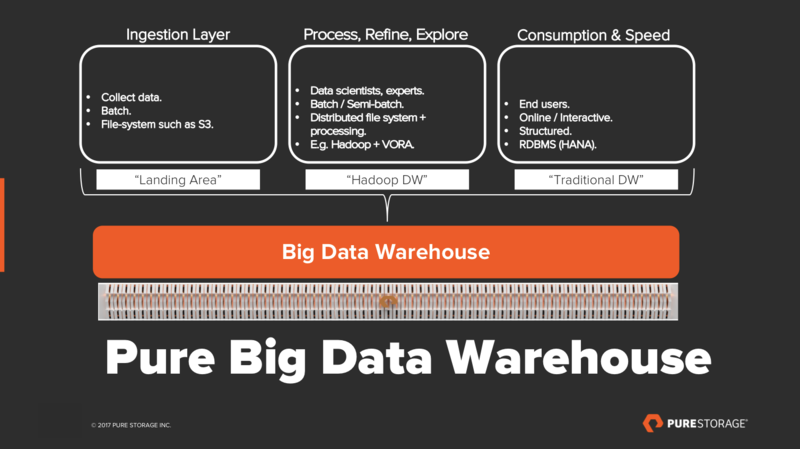 In the previous blog post, I described the concept of “Big Data Warehouse” where HANA and Hadoop live together in harmony on the same platform and open new possibilities to enterprises. This is important because traditional databases and architectures are not aimed to flexibly master today’s flood of data and data-sources. Nowadays, systems must store, process and analyze very large volumes ranging from hundreds to thousands of petabytes. With Hadoop, the advantage of the distributed file system extends to processing large amounts of data. It can scale-up, almost limitlessly and cost effectively to asses unstructured and semi-structured data. 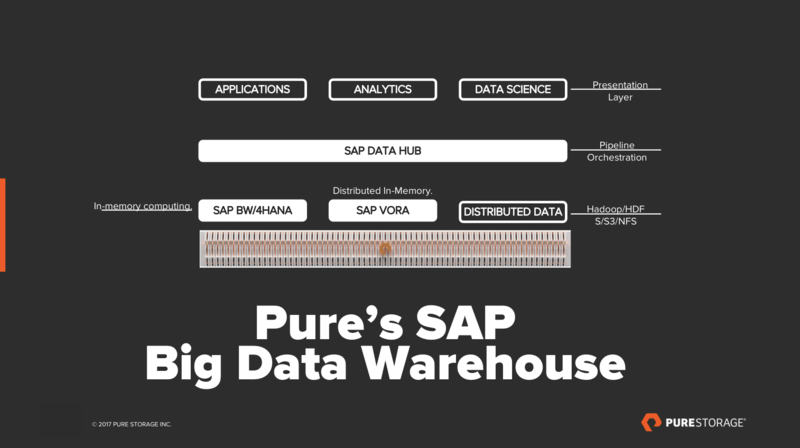 This, combined with the most up-to-date business data from HANA, all stored on Pure Storage’s data platform, become well-matched to create a versatile system that can serve all types of data needs. HANA delivers the high-performance database, and Hadoop delivers the mass-data ecosystem. Together, they provides a full range of data needs while keeping costs low. The potential is limitless. Let’s examine how Pure Storage can simplify the architecture and offer a much more affordable and easy-to-build Big Data warehouse. To process large quantities of data, modern databases use high-caliber hardware components and employ in-memory processing such as HANA. 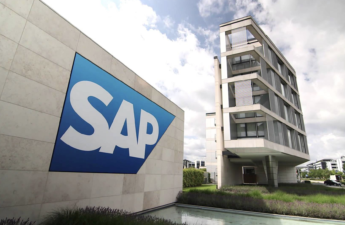 HANA is an extremely high-performance technology, but it is also not cheap. For the digital transformation, a certain flexibility is needed. Here, the flexibility needed is to store large quantities of data over the short-term without overstepping budget limits and thus raising the pressure on performance. 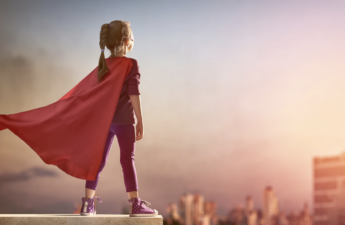 Pure’s a data platform was created for precisely this purpose. In this concept, I will refer to hosting BW/4HANA In-Memory platform along with Hadoop, SAP Vora and SAP Data Hub, the newly announced Big Data orchestration tool, all on the same data platform. Easily process semi-structured and unstructured data, such as photos, videos or text. at incredibly high speeds. The platform offers extremely high-performance data processing storage for fine data. In addition to this concept, the same platform can be utilized in many, many traditional and new data technologies. The more you use Pure, the higher your savings. An Ingestion Layer: to collect data from many sources, e.g. 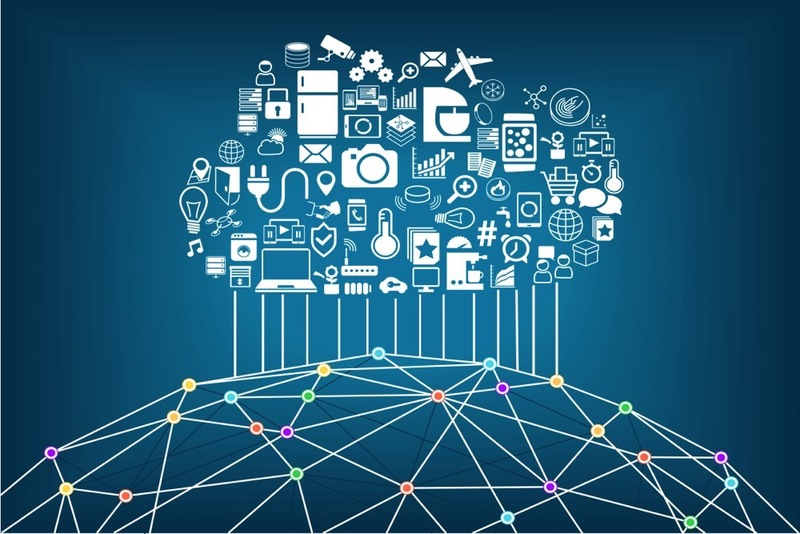 IoT devices in the edge. An Analytics Layer: This is where BW/4HANA comes in this concept, providing structured data to end users. 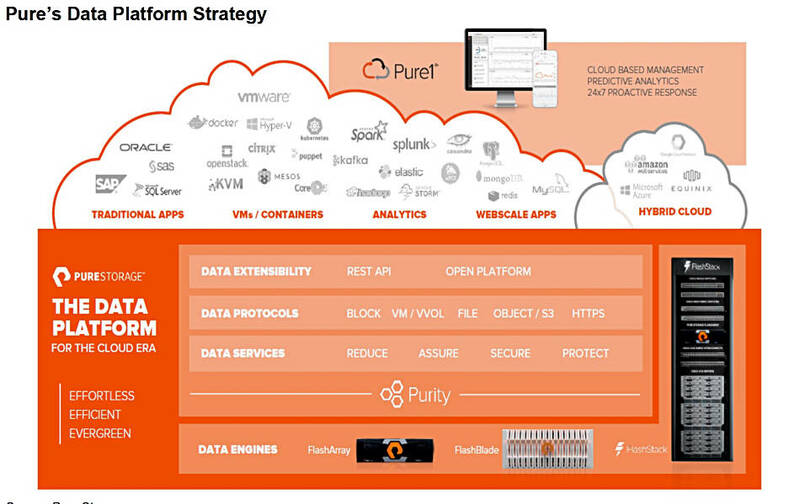 With Pure, you will be able to simplify and consolidate the architecture by utilizing it for all three tiers storage layer. This tight integration between BW/4HANA, Big Data, SAP Vora and SAP Data Hub means workflows work more in harmony. Data movement between these different systems is optimized and aligned for performance, making Data Hub’s pipelines part of your Business Warehouse strategy and virtually part of your process chain. Last but not least, you have so much more freedom utilizing data-tiering in FlashBlade and leverage it for archiving and colder data temperature. This concept can translate to incredible cost savings, architecture consolidation, time and effort. This puts you in control of your data and enables you to leverage it in the most profitable way. “Any powerful idea is absolutely fascinating and absolutely useless until we choose to use it.” – Richard Back, One. The ability to share data between technologies is going to make a big difference for companies going forward and the need for a data platform such as Pure’s will become a necessity. Technology changes human behavior and how we collect information. Companies must follow the data and leverage it to keep up with their customers’ and shareholders’ demands. As the famous writer and pilot wrote Richard Back wrote, “Any powerful idea is absolutely fascinating and absolutely useless until we choose to use it”. Data and analytics will help companies understand where they need to put their dollars to find growth opportunities. High-performance and diverse types of data is a huge accelerator to that.